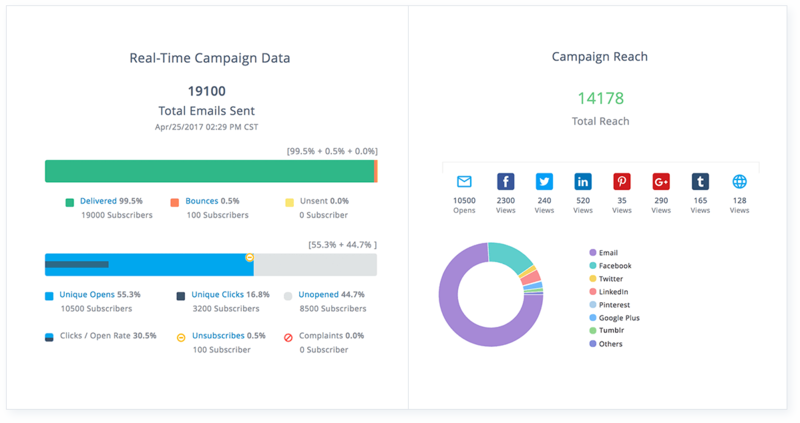 Email marketing tool that will appeal to users of Zoho CRM. Customers looking for the easiest way to build high-quality email and newsletter marketing campaigns. 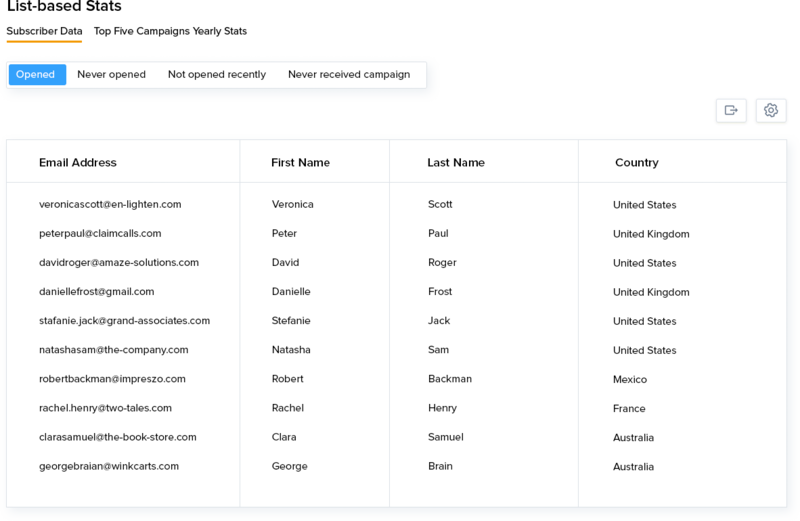 Customers looking for the most advanced and customisable email marketing tools. 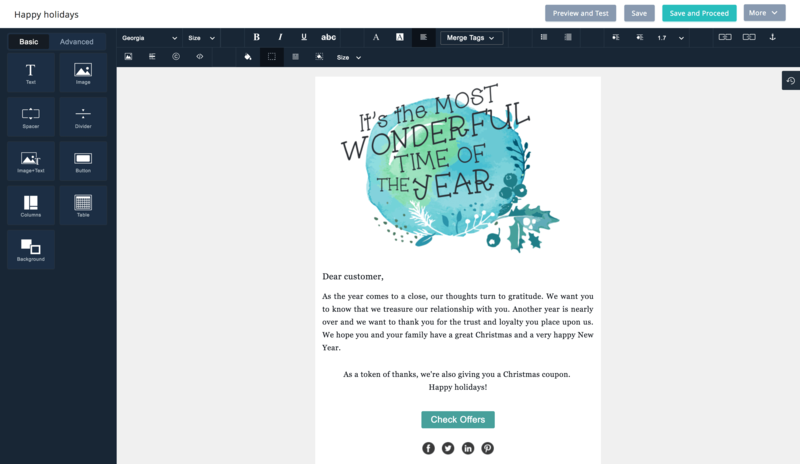 Zoho Campaigns is a cloud-based newsletter and email marketing tool with a focus on ease of use and visually striking designs. The service also integrates with Zoho’s customer relationship monument (CRM) features, to help you better communicate with customers. This platform allows you to create high-quality email marketing and newsletter content, with a large range of pre-built templates. There is a library of images you can use in your campaigns, with a full image editor to make sure they look exactly as you want them to. 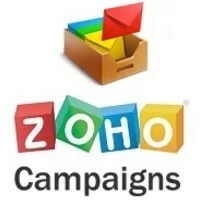 Zoho Campaigns is a useful tool for small to mid-sized businesses to create email marketing campaigns. The major strength of this platform is the ease of create high quality, engaging designs. The designer platform is very easy to use and intuitive, and customers praise its performance. This means if you want to create great content, without having to learn a complex new editor, Zoho Campaigns is a good option for you. The CRM and reporting is also a big benefit of this platform. 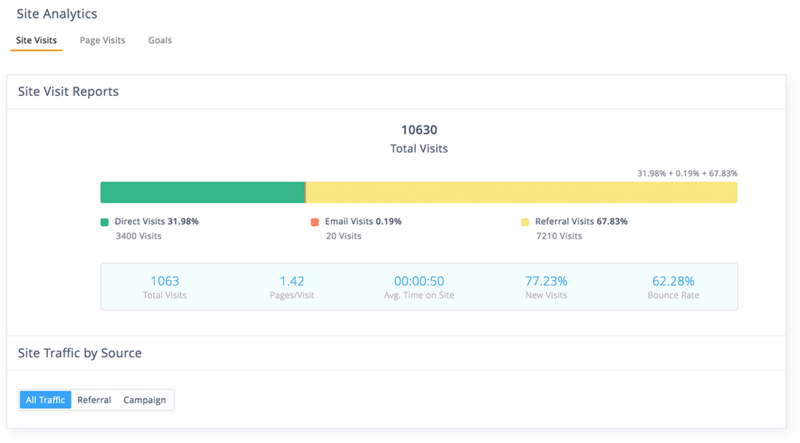 Zoho allows you to see detailed analytics and statistics on how well your campaigns are performing, as well as heatmaps. These are useful to see how people engage with your content and allow you to personalise campaigns to best suit their needs. Some customers have expressed that the product is not as fully featured as they would hope. 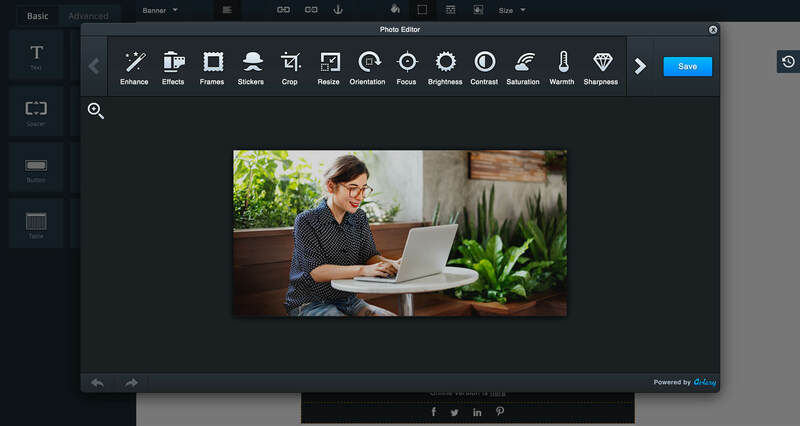 They argue this platform could go further in terms of customisability and personalisation in the template design editor. However, this platform is very easy to use and cost effective. 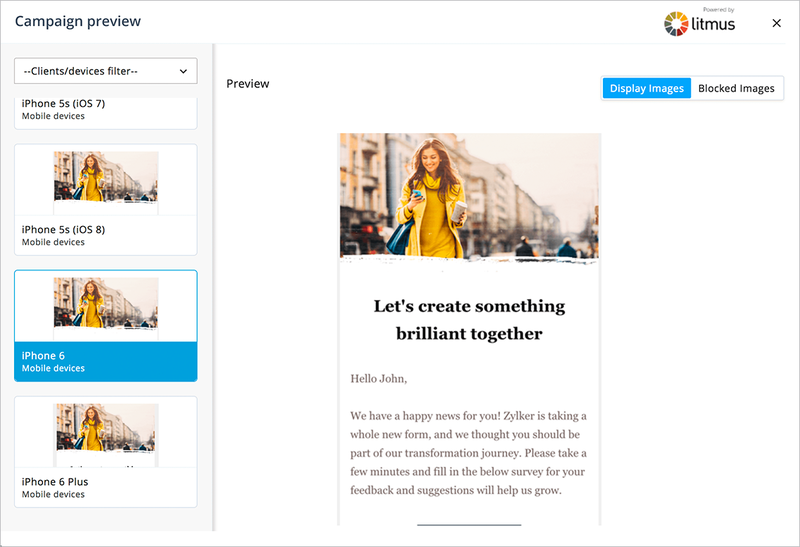 This makes Zoho a good option for customers looking to easily create high quality marketing materials, without the need for more advanced features.